Note: On “Even” minutes one partner will do one Power Clean to the Rack Position followed by three Front Squats. The other partner will complete 10 Toes To Bar, Toes to Ring, or Toes to Ceiling. On the ‘Odd” minutes the partners will switch stations. Prior to the workout, partners will establish a challenging Front Squat weight. The goal should be a 5 Repetition Max (5RM) effort. The last time this workout was completed in our gym was August 12, 2014, September 30, 2014 and April 2, 2015. Check your Journals and set a new record today! 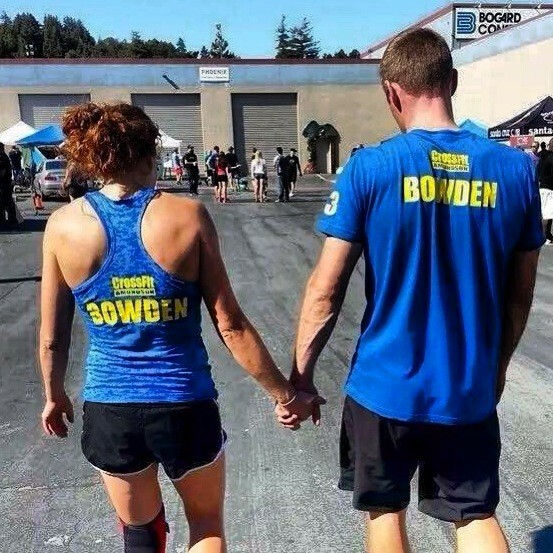 Join Lee and Leann Bowden and the Coaching Team of CrossFit Amundson to bid farewell and good-luck to the Bowden Family. Lee was recently promoted to a Helicopter position with the California Highway Patrol, and as a result “Team Bowden” will be relocating to Southern California. On Saturday, August 1, 2015, at 11:30 AM, Lee and Leann will be programming a workout at HQ. All levels are welcome and encouraged to participate. This will be a great opportunity to thank Lee and Leann for their incredible contributions to our gym the past two years.